Pioneers in the industry, we offer heavy duty all gear head lathe machine, semi gear head lathe machine, all gear head lathe machine and gear head lathe machine from India. We are leading manufacturer, trader, and exporter of Heavy Duty Gear Head Lathe Machine. 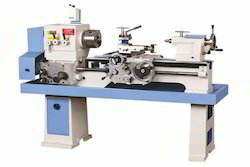 The offered All Geared Lathe Machine is largely acclaimed for fast production speed and unmatched durability. Our supplied lathe machine is liked and appreciated for smooth operation, due to the versatile lever system. Being the most respected organization guided by experienced and knowledgeable professionals, we provide an enormous assortment of Semi Gear Head Lathe Machine. This machine is manufactured under the visionary guidance of trained professionals using supreme grade components and advanced techniques in adherence to set industry norms. Our offered machine is used for drilling, cutting, knurling and deformation work in different industries. 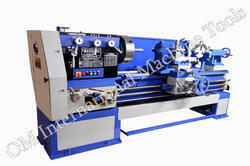 We are one of the leading manufacturers and suppliers of All Gear Head Lathe Machine. The offered planner lathe machine is made from high tensile steel, which is duly hardened for performing under high mechanical stress. Our supplied planner lathe machine is capable of producing plane surfaces, solids of revolution and helices. We are offering Gear Head Lathe Machine to our clients.